A simple and effective technique to extract graphene, and the contaminants and toxins they from water using light has been developed by researchers at Monash University. The research work is being published in Nanoscale, the journal of the Royal Society of Chemistry. The new findings could considerably influence large volume water purification. 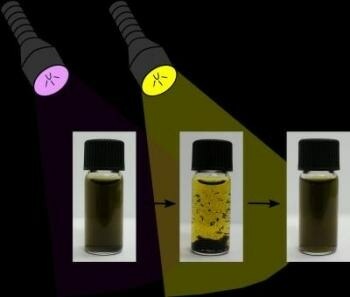 A small quantity of a special light-responsive soap was mixed with water containing contaminants and graphene. The molecular structure of the soap is changed when a specific colored light is shone at it. This makes the soap alter its interaction with carbon materials in the graphene, causing them to separate with the contaminants, which are stuck to them. When a different colored light is shone, the graphene is redispersed for reuse. The various technological opportunities offered by graphene because of its unique structure and properties were described by Monash researcher Dr Rico Tabor. The importance of these research findings and the advantages of utilizing light for the capture of graphene were described by the co-researcher Thomas McCoy. Light is appealing as it is abundantly available, simple and low cost when compared to most separation methods. Our latest research findings could have significant implications for cost-effective, large-scale water treatment.